I recently got back from a 3 week holiday in South Africa which was amazing. The weather was great, days out with my family were fun and the food was obviously incredible. Having said this, if there’s one thing South Africans don’t succeed in… it’s making a good pizza. Oh gosh I love a good authentic, wood fired oven made pizza. Just the thought of it is making me hungry! When I came home, the first stop I made with Z was at PIDE. 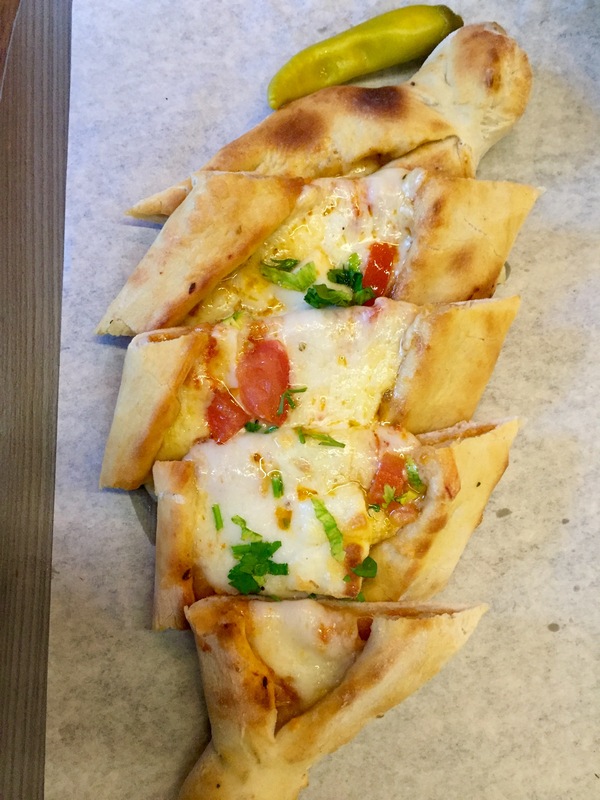 Pides are little Turkish pizzas and they are SO so good. I had to check this restaurant out; after all, it’s named after these glorious things! 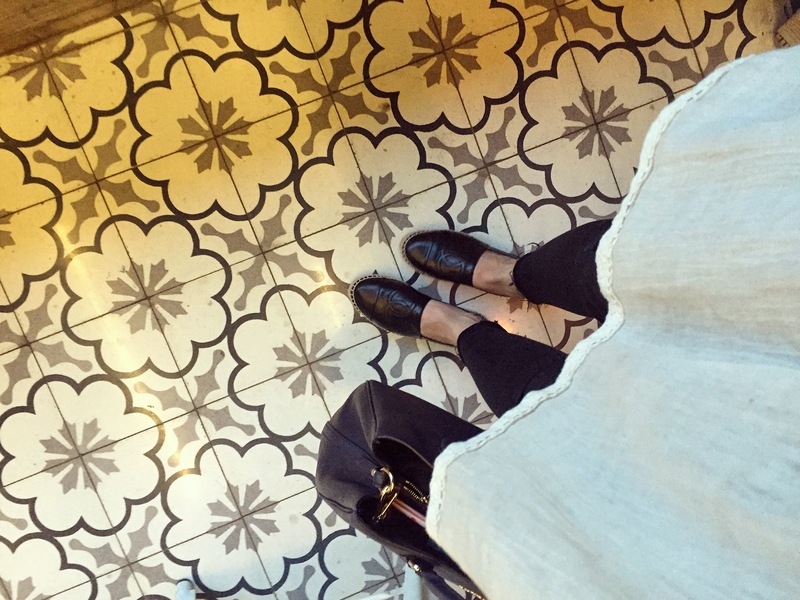 I have an obsession with cool floors and PIDE’s floor made me really happy lol. People get so annoyed with me for taking these hahaha. After my pictures, we ordered at the till and then got seated. 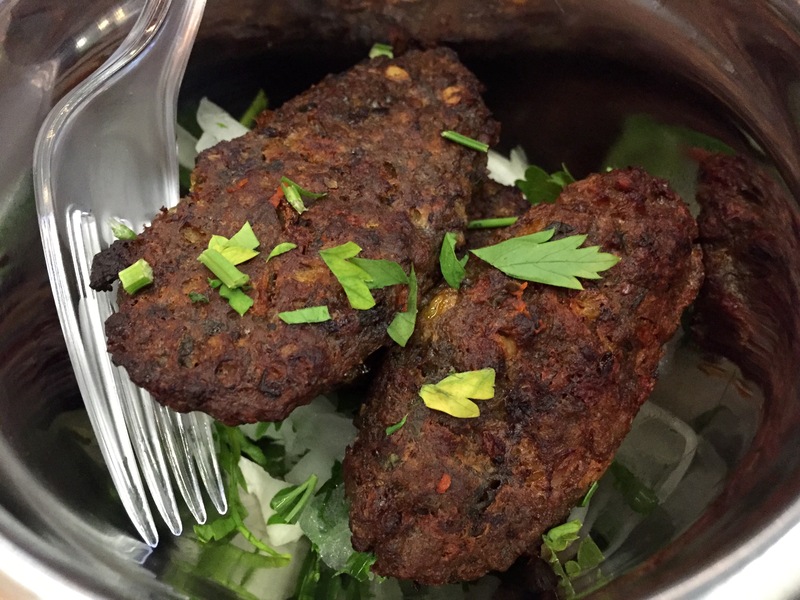 For starters we opted for their lamb kofte. It was a little on the dry side, but when dipped into sauce, it was quite nice! Weirdly, I wasn’t in the mood for having meat on my pide that day. I just wanted cheeseeeee, three kinds of cheese! Mozzarella, kashar and hellim to be precise. This was delicious! 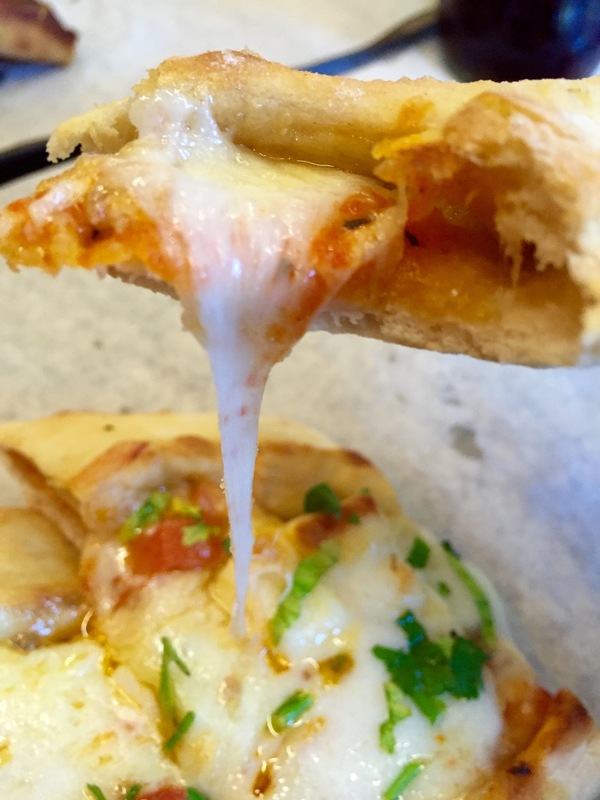 The bread was soft and warm and the cheese was perfectly stringy. 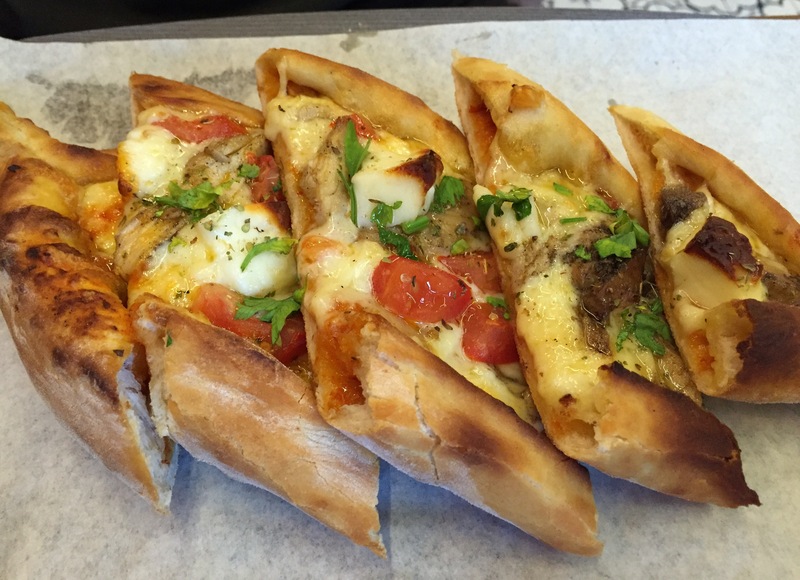 This pide had a delicate tomato base and was topped with chicken, cheese, herbs and touch of honey. Unfortunately, the chicken had that “not fresh I’ve probably been reheated” flavour. Z didn’t seem to mind but I wasn’t a fan. If the chicken was freshly made it would have been really tasty. Overall the bill amounted to £10pp with drinks. I think this place is great for a quick bite if you’re in the area. The food wasn’t perfect but I did enjoy it. I wouldn’t mind coming back to try the pastrami and hellim pide. It sounds pretty good to me! Yum! The three cheese one looks so good!